A cheap drone that delivers far more than expected. It’s easy for anyone to start flying and has several challenge levels to help you improve your skills with time. 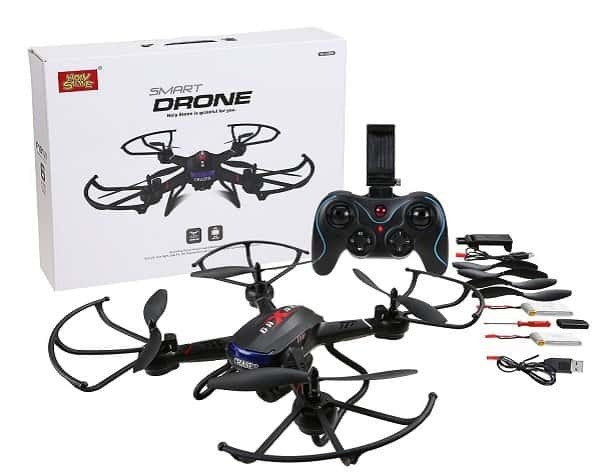 If you are looking for a ready-to-fly starter drone to learn how to fly or to practice new skills, the F181W is one of the best values out there at less than $125 (with controller). 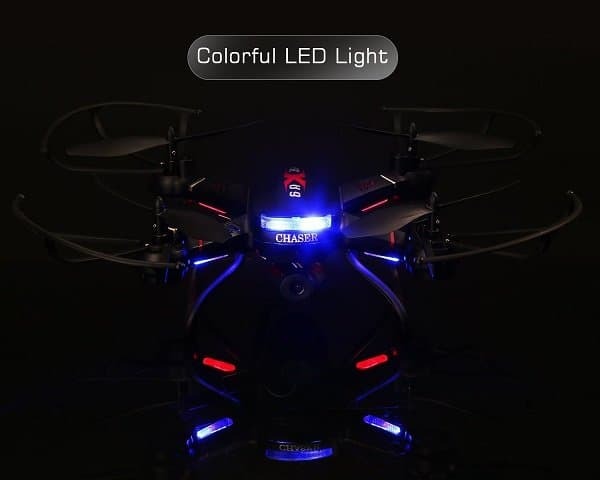 The Holy Stone F181W RC quadcopter drone is an example of just how powerful, safe and feature-rich starter drones are getting. 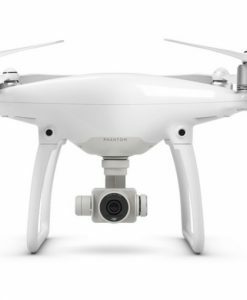 New pilots can enjoy features like HD cameras and intuitive navigation without having to shell out $500 to $1,000 for a DJI Phantom or Mavic Pro. The Holy Stone F181W weighs just 4.9 ounces and comes with a wide angle 720p camera, live FPV viewing and advanced moves like 360-degree flip. The best part about the F181W is how easy it is for beginners to fly. Several settings and pre-programmed modes ensure even a complete newbie will be able to use it. Unfortunately, the live video can be a bit choppy, and this drone doesn’t fly well in any kind of wind. 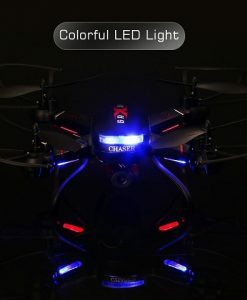 NOTE: if you are looking for something more advanced than the F181W, then read our in-depth guides for racing drones and camera drones. The Holy Stone F181W comes ready to fly. It’s already assembled, and you just need to do a few final touches before firing it up. 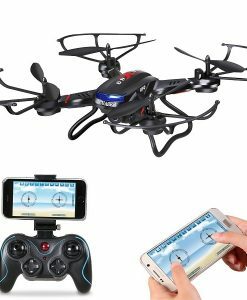 This includes inserting the battery, attaching the propeller attaching the camera with an SD card inserted (card not included). 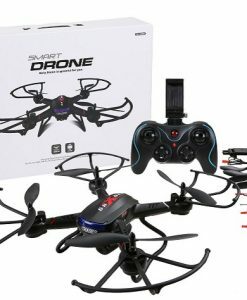 The package also includes four extra props, landing skids and protection frames, two batteries, two USB charging cables, a 2.4Ghz remote controller, a screwdriver and of course the user manual. A 720p camera on a $120 drone is a great bargain. Even without a 4K DJI camera drone, you can still take some pretty crisp pictures and videos. I recommend engaging the hover mode (see next section) before taking a picture. Otherwise, the images will be a bit blurry. 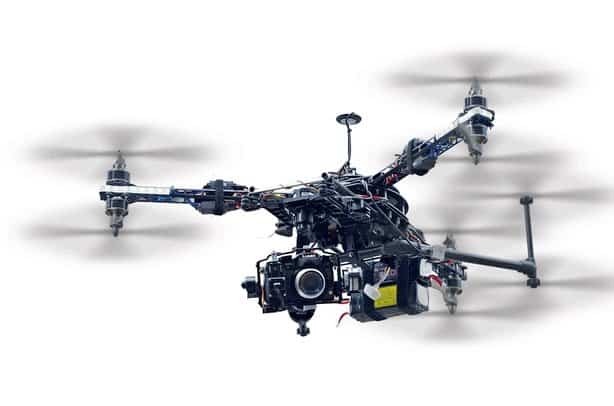 The camera’s sensor is not fast enough to keep up with the speed of a moving drone. The camera has a 120-degree field of view, allowing you to take panoramic shots and videos from above. Unfortunately, you cannot rotate or angle it to get a wide view or create fancy camera effects. If you want to take a picture from an angle, you have to manipulate the pitch and yaw of the drone itself, which can be challenging for beginners. Generally speaking, this is not even close to what you would get with a camera set up on a pricier drone. 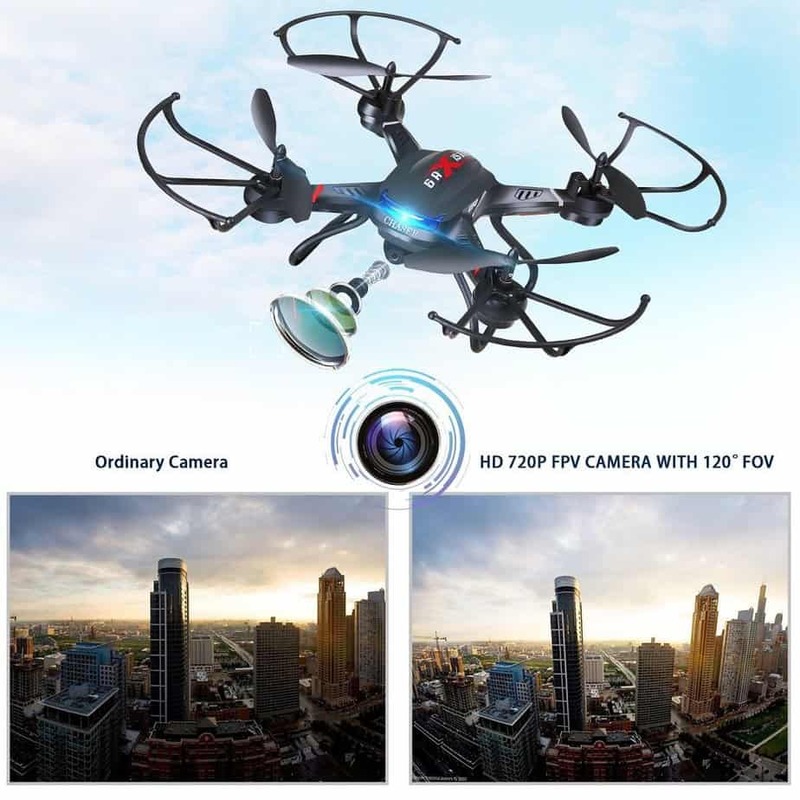 But it’s perfect for those who want a cheap drone camera to have fun with. 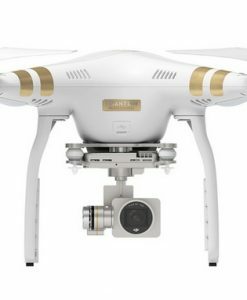 It’s also great for anyone planning to get into professional aerial photography or cinematography. 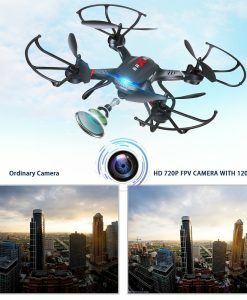 This camera, limited as it is, gives you some practice on shooting from above before you graduate to proper camera drones. One of the most fun features is the FPVlive video transmission. The camera can transmit a live video feed to your phone using WiFi. You’ll need to download the accompanying Holy Stone app and connect it to the controller via the WiFi settings. 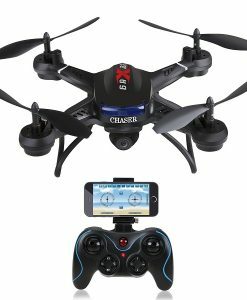 The app will then be able to receive real-time video from the drone. Note: You can also use the app as a controller. 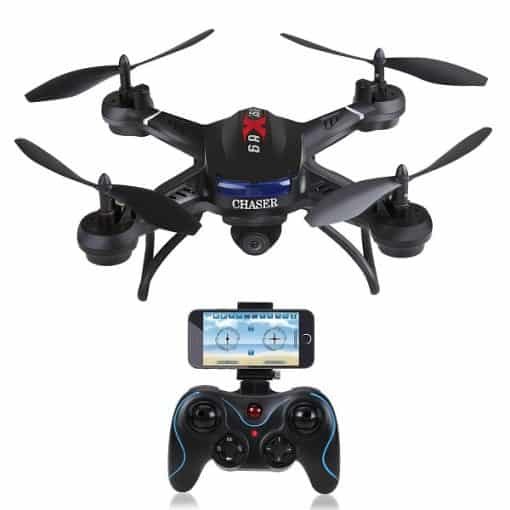 It uses the gravity sensor mode to maneuver the drone. The controller has a smartphone holder that fits most phone sizes. 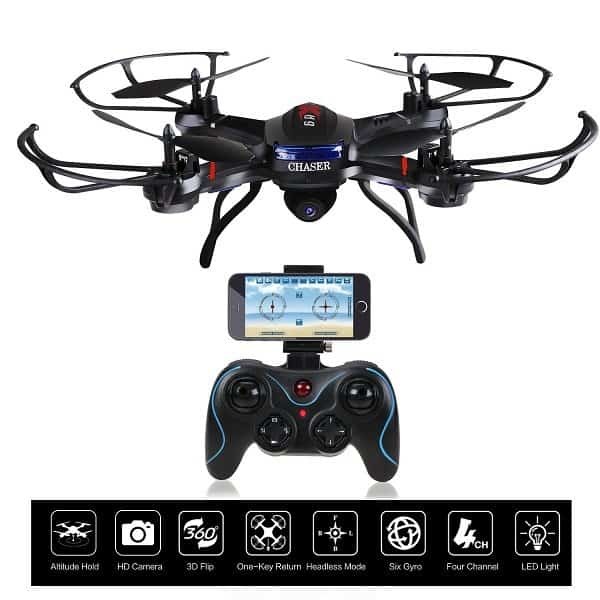 So you can watch the video as you control the drone. But don’t use just the FPV video for navigating the drone. Make sure you still have a direct line of sight. If you want to try some FPV racing, try on some VR goggles and switch the drone to the highest speed setting (make sure you already have some experience). One thing to note: the transmission range for FPV is 30-50 meters. This is much shorter than the transmitter range of 100 meters. Just because you can still control the drone doesn’t mean you’ll be able to get a live video feed. So before you assume your camera is damaged when the live video cuts off, try bringing the drone closer first. There is a reason why professional camera drones are expensive. To be able to take smooth shots from above with the drone moving is no easy feat. Manufacturers have to integrate hardware and software stabilization techniques such as gimbals to produce quality videos and images. The Holy Stone F181W, at its awesomely low price, cannot possibly have all those features. So you just have to try and fly the drone as smoothly as possible to avoid a blurry image or head-spinning video. But there is one trick you can use to shoot better pictures especially if you are still learning how to control the drone and can’t fly properly. There is a hover mode, what Holy Stone calls an altitude hold mode. To activate the hover mode, first, make sure the drone is a few meters off the ground. Then release both the left and right control sticks at the same time. The drone will hover in position until you press the controls again. You can take some great pictures and videos when in hover mode. It’s also handy for group selfies. Just hover the drone around 3 meters off the ground, turn the drone to face you and then use the app on your smartphone to snap a photo. 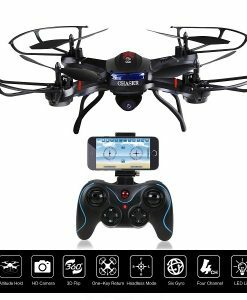 These small beginner drones are often easier to fly than the more expensive professional drones that require more practice and experience. They are packed with so many safety and easy-fly features to help beginners get started. 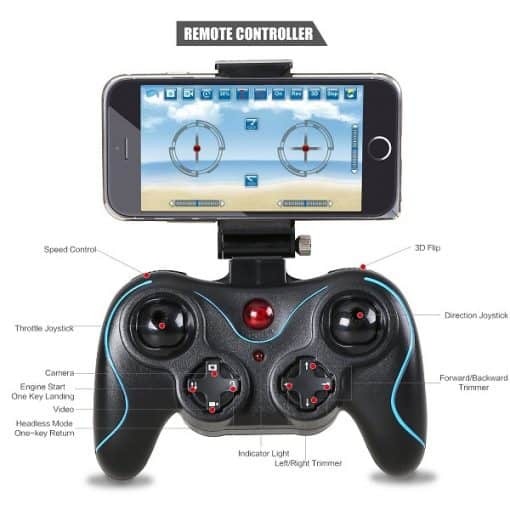 The controller has all sorts of buttons and controls to help you fly it safely. The motors respond well to the throttles. As soon as you tilt the throttle upwards (with the motors already switched on) the drone immediately lifts off the ground. When in the air, it responds swiftly to directional changes. 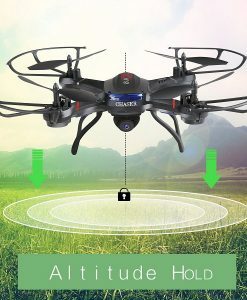 If the drone starts tilting left or right when flying, there are two trimmer buttons (for left and right adjustment) to bring the drone back to position. 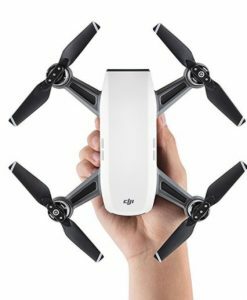 There is also a flip button that allows you to flip the drone 360 degrees. It’s a cool jet fighter-like maneuver. While you may hit a few branches the first time you fly, most users say they learned quickly. 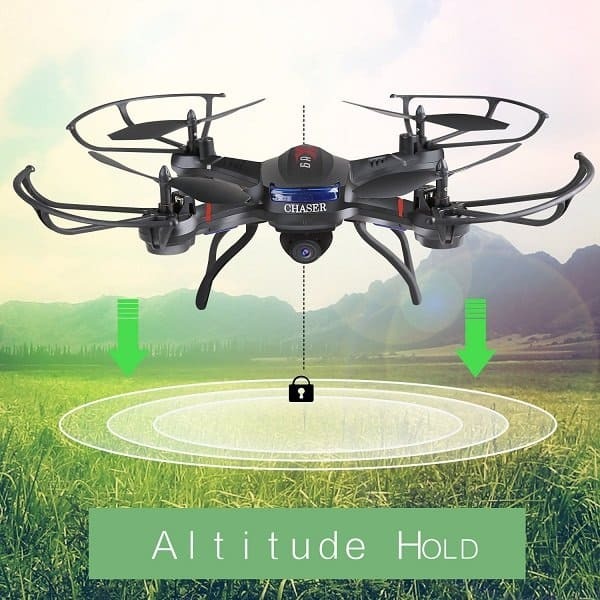 By the third fly, you will be able to do most of the basics –lift the drone off the ground, fly it to the end of the yard and bring it back. And even if you crash a few times, the drone is sturdier than you expect. Something else I should mention: The drone has to operational modes simply named Mode 1 and Mode 2. In Mode 1, the throttle is controlled by the right stick, and in Mode 2 the left stick is the throttle. Mode 2 is the recommended option. There are a few safety controls that will help you avoid crashing into things or people. The most important one is the emergency stop procedure. If it’s too late to veer away from a potentially dangerous situation, use the control sticks to stop the drone. 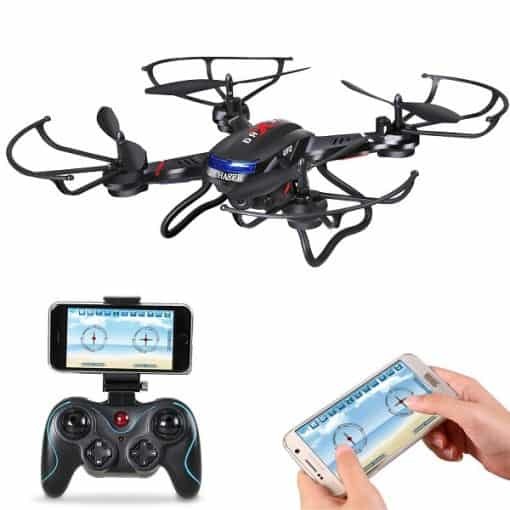 Pushing the right stick to the bottom right and the left stick to the bottom left will immediately stop the motors, and the drone will come crashing down. Only use this option only in emergencies to avoid damaging your drone. Another really helpful feature is the headless/one-key return mode. In this mode, it doesn’t matter where the drone is facing. It will go forward if you push the direction stick forward and backward if you push it back.It’s great for beginners who want to avoid a flyaway. The only downside with this mode is that it cannot be activated when the drone in mid-flight. In fact, you have to engage it before you even pair the drone with the controller. This mode also serves as a one-key return function. When you push the direction stick backward, the drone will come directly back to where you are. That’s why the manual recommends you stay in the same position and face the same direction when in headless mode. 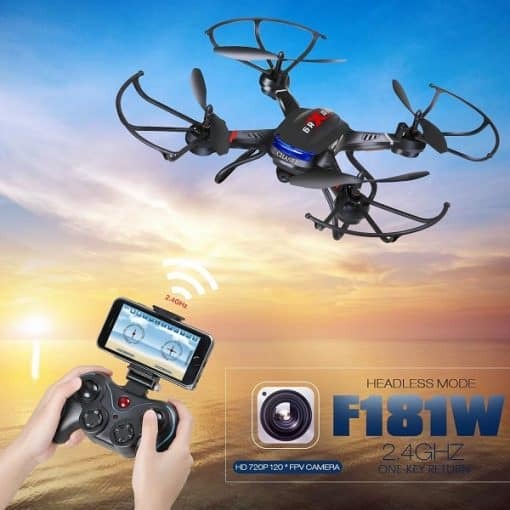 While you don’t get obstacle-detecting sensors and navigational GPS to keep your drone safe, you can easily fly the F181W without crashing into everything in your path. Just a couple of practice lessons and you’ll be on your way to becoming a pro. So don’t be afraid that you can’t fly a drone that you’ll crash it as soon as it is in the air. The F181W is an easy machine to handle. The drone has several speed levels. As you practice and get better at maneuvering, you can switch to a higher speed to challenge yourself. There are four speed levels; low, medium, high and expert. Start on low and practice the basics. Then gradually try flying faster. 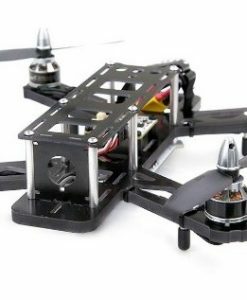 At the expert level, you can try some fancy aerial maneuvers or FPV racing. So don’t worry that you will outgrow the F181W. It will be some time before you are ready to try your hand at one of the more expensive heavyweights. 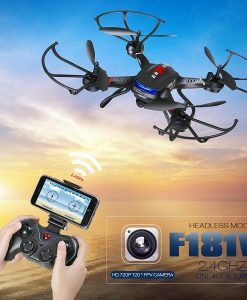 The Holy Stone F181W works with the DeercFPV smartphone app. It’s available free for both Android and iOS. You’ll need to first link the app to the WiFi camera on the drone. The manual has clear instructions for that. With the app, you can take photos and record videos. Make sure you have installed a memory card on the camera module before you start using the app. The memory card stores all the photos and videos you take. Use a memory card reader to transfer the photos to your computer. 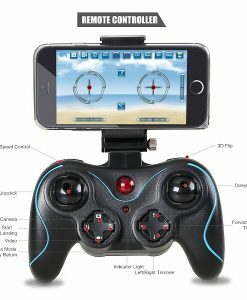 As I mentioned earlier, you can control the drone with just your phone using the Gravity Sensor Mode. Click the help icon on the app for instructions on how to use this mode. Note that there may be a slight response lag when using your phone. Also, make sure you have switched the controller off before using your smartphone. It’s ready to fly right out of the box.